*Just days from its TV-remake debut, “Steel Magnolias” is in the midst of Drama. The woman who produced the original “Steel Magnolias” is suing over the upcoming Lifetime TV remake of the film. She says she’s not getting the credit or the cash she deserves, reports TMZ. Victoria L. White — executive producer of the 1989 film starring Julia Roberts, Dolly Parton, and Shirley MacLaine — filed suit (on Monday) against Sony Pictures and Lifetime Television … which is producing the new TV movie starring Queen Latifah, Jill Scott and Phylicia Rashad. In the documents, White claims she has a “Television agreement” that entitles her to a co-producer or co-executive producer credit on any TV project based on her hit film. 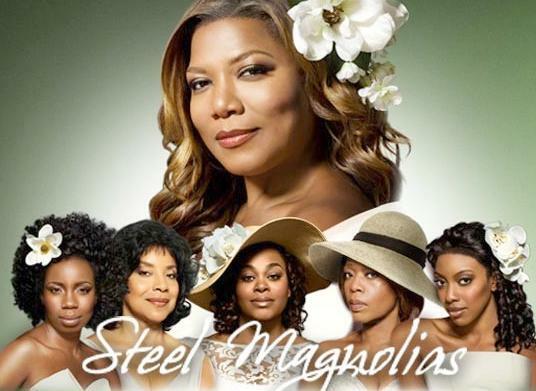 “Steel Magnolias” premiers on Lifetime on Sunday, Oct. 7 at 9/8c.